JOI Phone 5 is the first Intel Atom x3 powered smartphone launched in Malaysia, along with this budget smartphone, JOI 7 Lite Phablet is also launched which is running on the same processor. A new smartphone was revealed by SNS network in Malaysia featuring an Intel Atom x3 “SoFIA” mobile chipset. The new smartphone, namely- JOI Phone 5 is a budget-level smartphone with dual-SIM capabilities which will be available for grabs via GLOO’s retail system in Malaysia. The device is powered by a 64-bit dual-core Intel Atom X3-C3130 chipset bundled with Mali-400MP2 GPU for graphics. The smartphone features 8GB of Internal storage operating on 1GB of RAM. The phone runs on Android 4.4 KitKat and features a similar design on the front as recently launched Asus Zenfone 2. Read More:- Asus Zenfone 2 Review: Is this the best smartphone in 2015 ? The smartphone sports a 5-inch 720p IPS LCD display with a 8MegaPixel camera on the rear while the front-shooter is of 2MegaPixel . The device offers Wi-Fi 802.11 b/g/n, Bluetooth 4.0 as connectivity options and runs on a 2,100mAH battery under the hood. 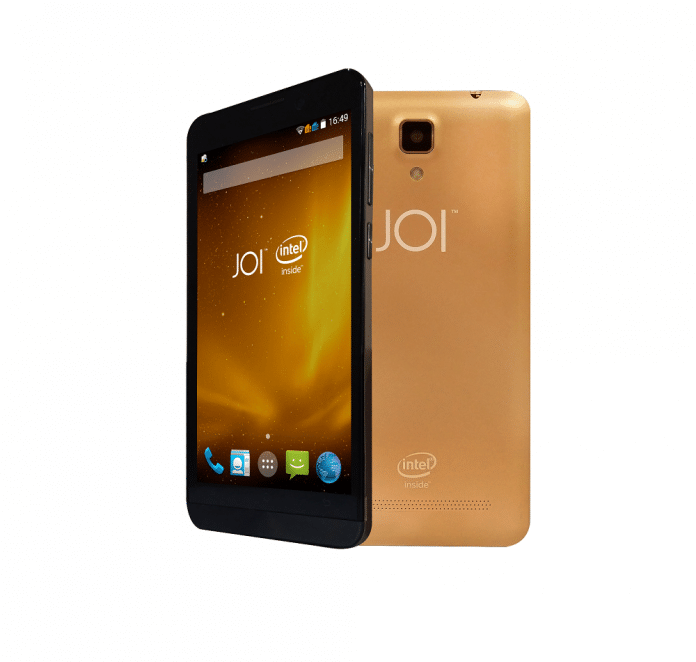 The JOI Phone 5 will hit the markets with an initial price tag of 399 Malaysian Ringgnit which is around $106. 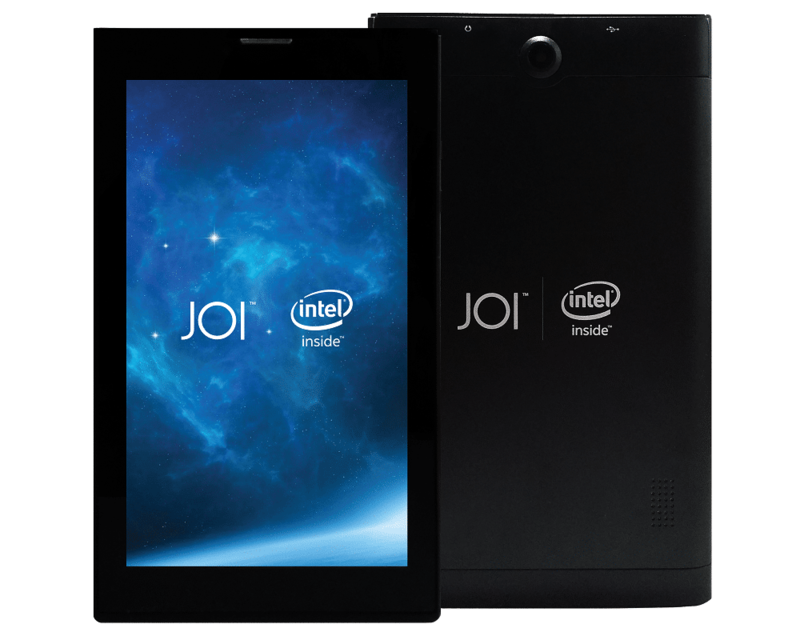 JOI 7 lite phablet was also unveiled and features a 7-inch IPS display ( 1024×600 pixels ) and runs on Intel Atom X3 chipset coupled with 1GB of RAM and 8GB of internal memory. The JOI 7 lite phablet will be available at a price of 299 Malaysian Ringgnit ( $79 ) and will be running on Android 4.4 KitKat. The device features a 2MegaPixel camera at the back while a VGA camera on the front and has Wi-Fi, GPS, Bluetooth 4.0 as connectivity options. The phablet will be a tough competitor for the Chinese Telecast X70 3G tablet which supported calling and also ran on Intel Atom x3.